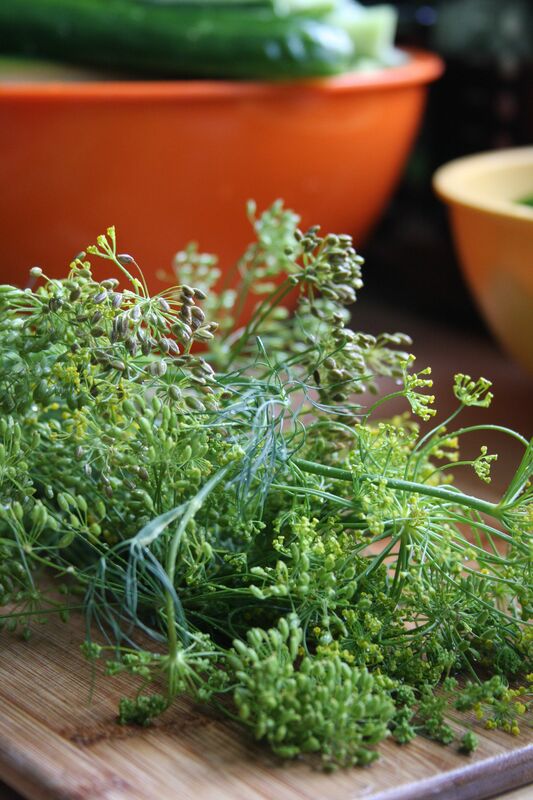 csa :: week eight :: pickles! I haven’t grown cucumbers the last few years. Not because I don’t like them, but because there are always way too many. And unless you like pickles, there isn’t much you can do to preserve them. Well, leave it to my mom to grow to way too many this year and then more to come from our CSA and looks like it is a pickle year after all. These pickles are the best, crisp and delicious. 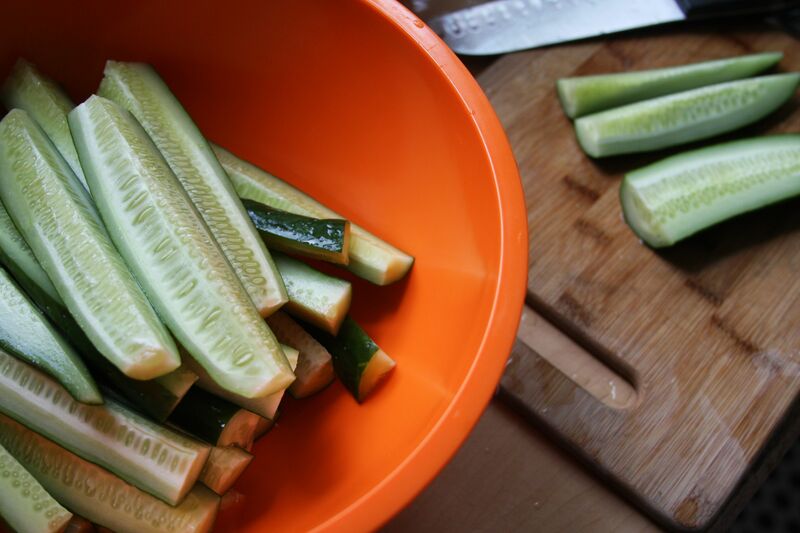 I don't provide extensive detail about how to can pickles here, but rather simply the recipe. If this is your first time canning pickles, you may want to search out more detailed instructions. 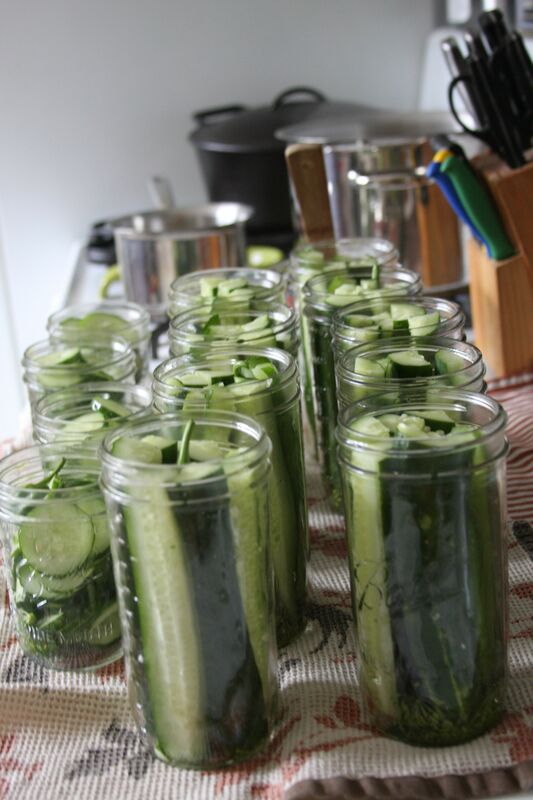 Sterilize quart jars (wide mouth works best) and pack with desired combination of cucumbers, peppers, garlic, onion, and dill. Pour ¼ tsp alum into each jar, this helps keep pickles crisp. Pour boiling brine in jar and cover with hot lid and ring immediately.